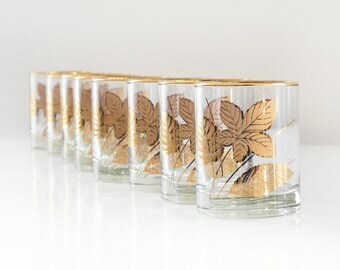 Fantastic mid century modern Dorothy Thorpe style roly poly glasses. 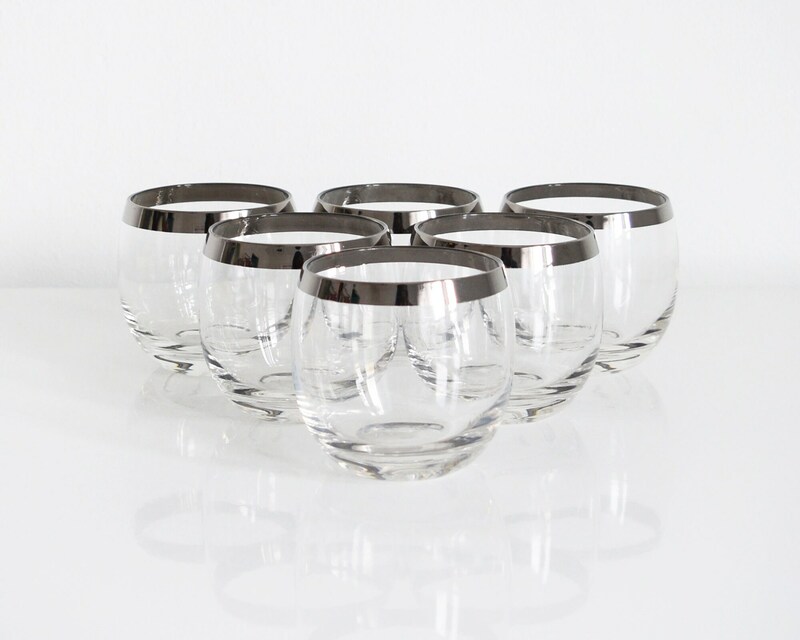 These six Mad Men style glasses hold 8 ounces and have thick silver bands around the lip. Heavy rounded and slightly indented bottoms, which makes it hard to tip them over. The silver is in great condition, with extremely minor wear on the silver, which is noticeable when held to light. No chips or cracks. Dorothy Thorpe inspired style, but definitely straight out of Don Draper's office. The listing is for one set of six glasses. 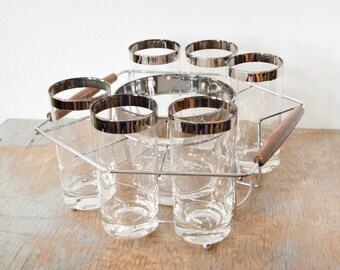 I do have a set of six ounce glasses here, https://www.etsy.com/listing/83147163/silver-mad-men-glasses-dorothy-thorpe, please see the last photo for a size comparison. Condition: Excellent vintage condition (see description for any flaws). I accept both paypal and credit cards directly through Etsy, please choose your preference when you check out. Item is shipped via USPS Priority mail. If the actual shipping cost is less than $2 from my shipping cost I'll refund the difference. These were gorgeous glasses- bought for husband (who loves madmen and whiskey) for Christmas- they are hit. Well balanced & awesome glasses.